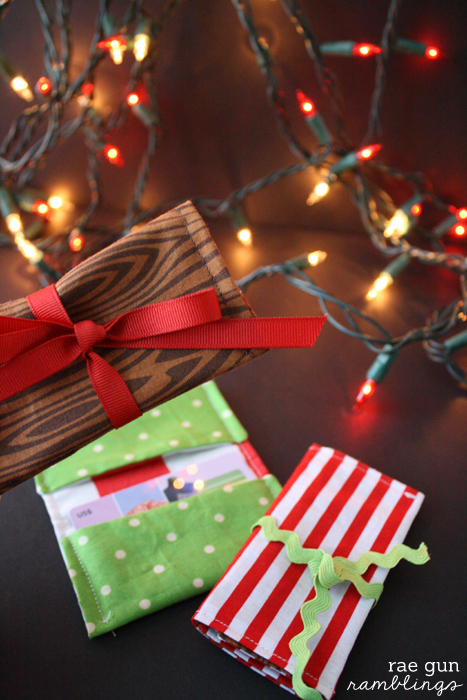 I’m one of those people that hate giving generic gifts. When I take the time to buy or make something for someone I want them to like it. But some times you just can’t think of a great gift and as much as you know that a gift card will be appreciated it just feels so impersonal. 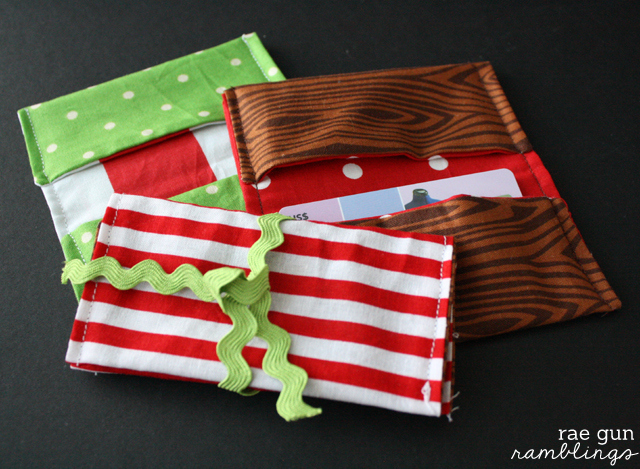 So why not whip up a handmade gift card case that can be used later for business cards or holding other cards. 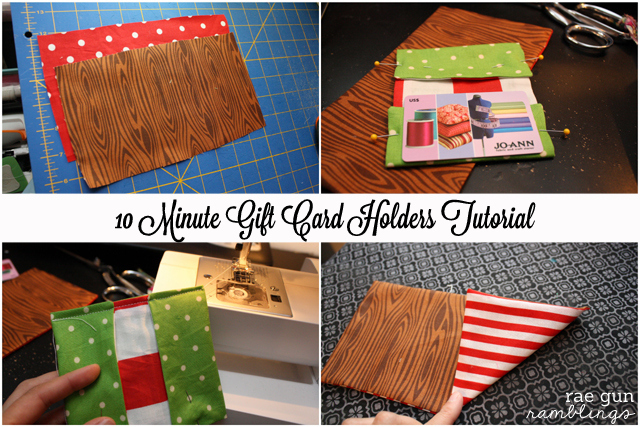 Making your own gift card holds is super fast and easy. I made up a few just to have on hand but you can totally get creative and personalize them by picking out fabrics that remind you of your recipient or adding their name or a fun design in iron-on vinyl. Start off with two pieces of fabric 5 X 9 inches each. With right sides together sew around all the edges with a 3/8 inch seam allowance leaving a small gap at the bottom edge of of of the long sides. Fold the edges up and pin. I like to hold a gift card or credit card just for the right side to gauge how much of a fold to take (about 2 inches). Sew along both long sides making sure to back stitch. 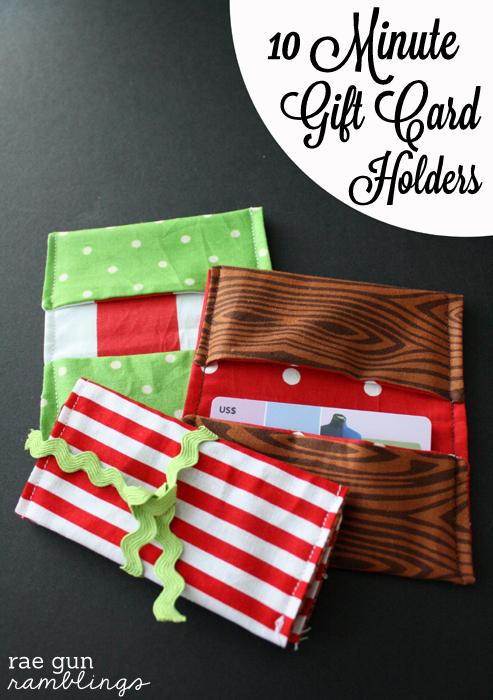 Tie fill with a gift card and time with some ribbon or trim and gift. 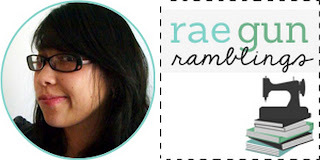 I hope you’ll swing by the blog and say hi! You can also find me hanging out here.